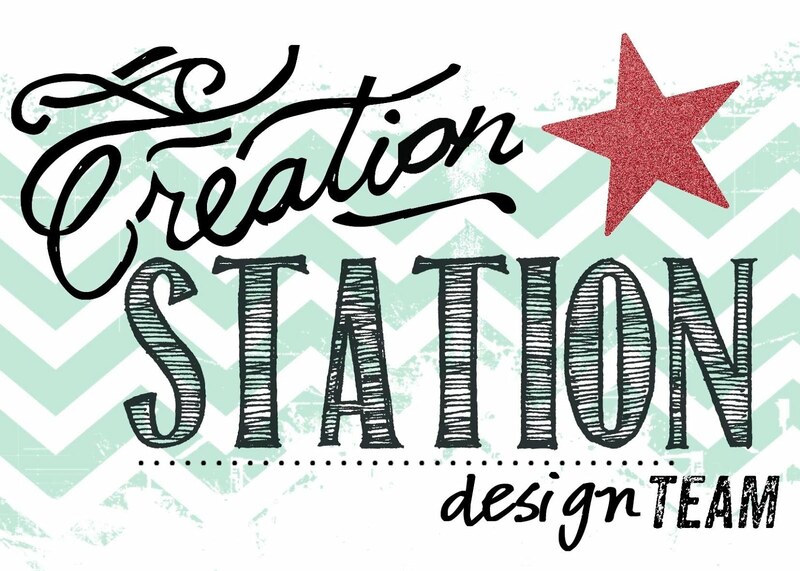 Hi everyone, welcome to a new Creation Station Blog Hop! 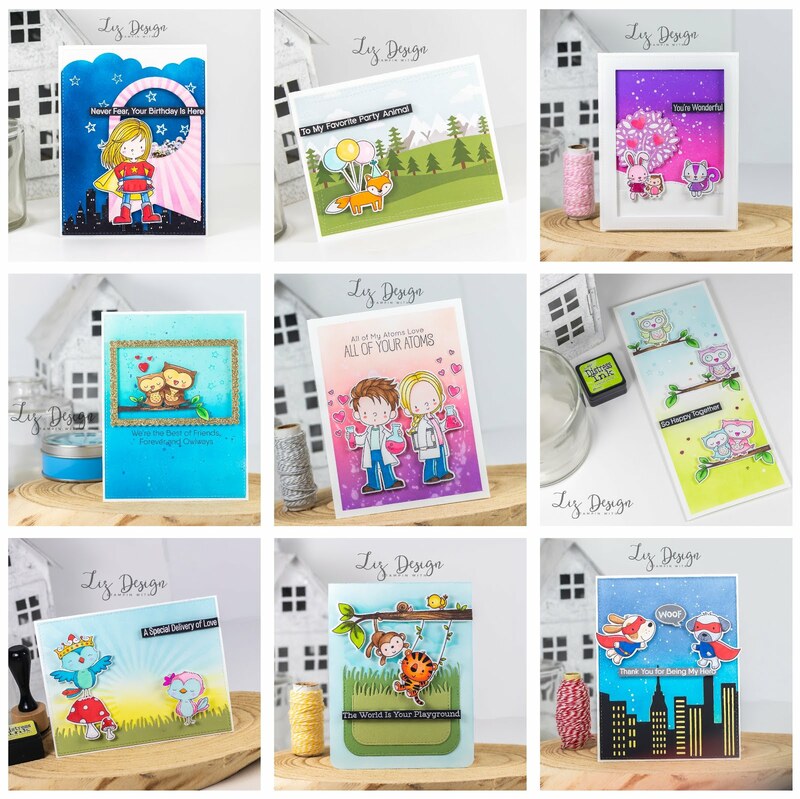 Each month the Creation Station Team Members are hopping together. 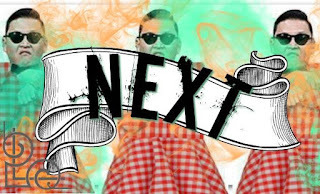 Make sure to scroll down to the end of this post hop along, today we are showing you all some amazing inspiration with the theme: Going Gingham Style! I started my card with a base from Thick Whisper White Cardstock. I then created a front panel which I stamped with the Buffalo Check background stamp, using Blueberry Bushel ink. A very fun stamp to use for this theme! I then created a front panel using a sticthed rectangle die and Sahara Sand Cardstock. 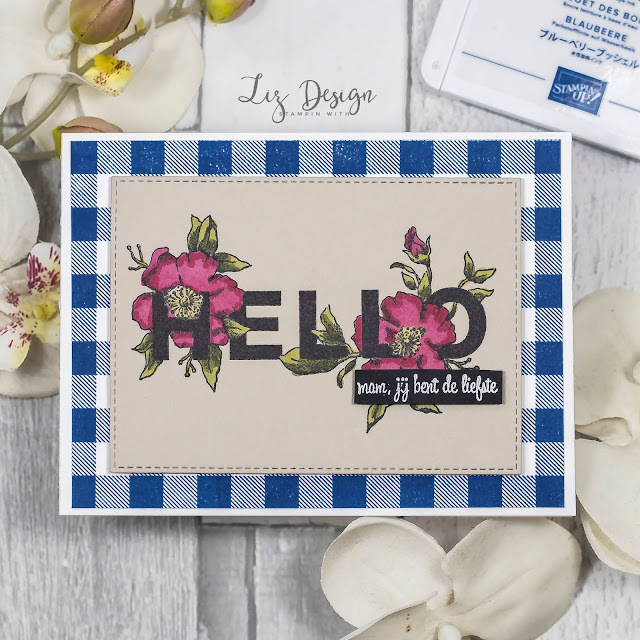 I stamped the text Hello with the beautiful flowers surrounding on my cardstock using the Stamparatus. 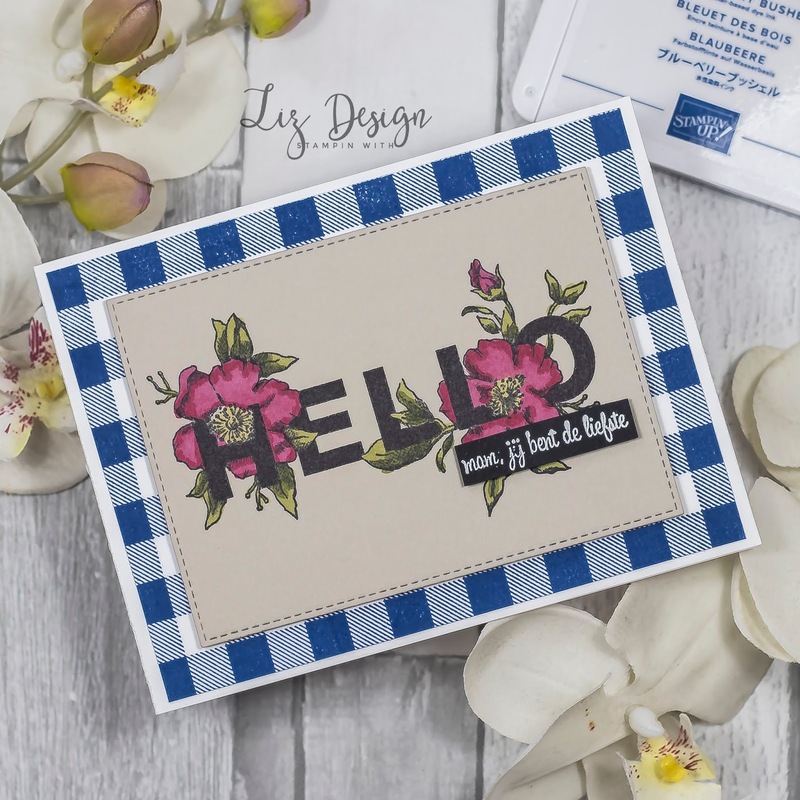 This amazing stamp comes from the stamp set Floral Statements from Stampin' Up. It is a challenge to get the tekst really deep black, so with a Stamparatus you can easily stamp more then once to get the best result! 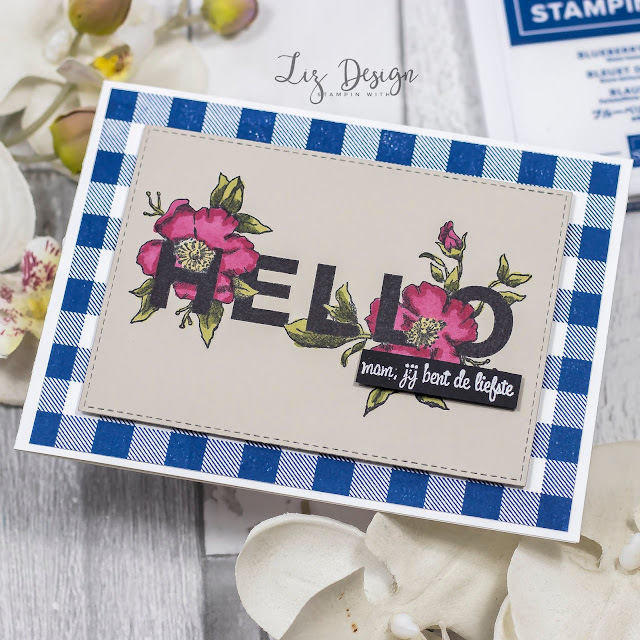 I coloured the gorgeous flowers with the Stampin' Blends Markers. 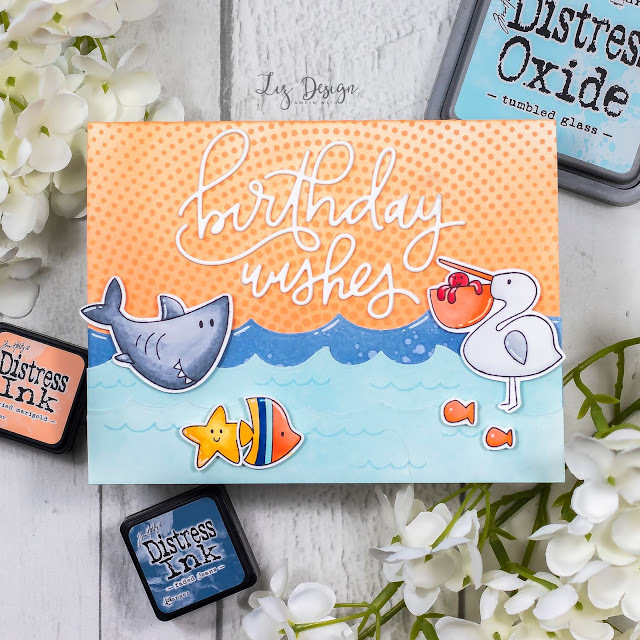 Because you are colouring on coloured cardstock, your colours will turn out a bit darker than when you're using white cardstock, but on Sahara Sand it will still look beautiful! I added tekst on Basic Black Cardstock with Versamark ink, using white embossingpowder. I choose a dutch tekst which means 'Mom, you are the sweetest'. This text comes from the Dutch stamp set Van Alles. A perfect Mother's day card! Make sure to hop along, click on the next button to hop further! Erg leuke kaart geworden, Linda! Beautiful card--love all of the colors together. Don't you just love a good Blueberry Bushel gingham? I do! Super pretty card Liz! Thank you so much Denita!